There was a girl who wished for love and happiness on her birthday. Recipe: CS from PTI, Distress Ink, Jillibean Scrapbook Paper, Thickers Alphabets, Martha Stewart Fence Punch, Fiskars Cloud Punch, Glossy Accents, Waltzingmouse Stamps Heroine Set, SixbySix Scrapbook Paper, Bling, Doodlebug Design Birthday Stamps, Stickles. 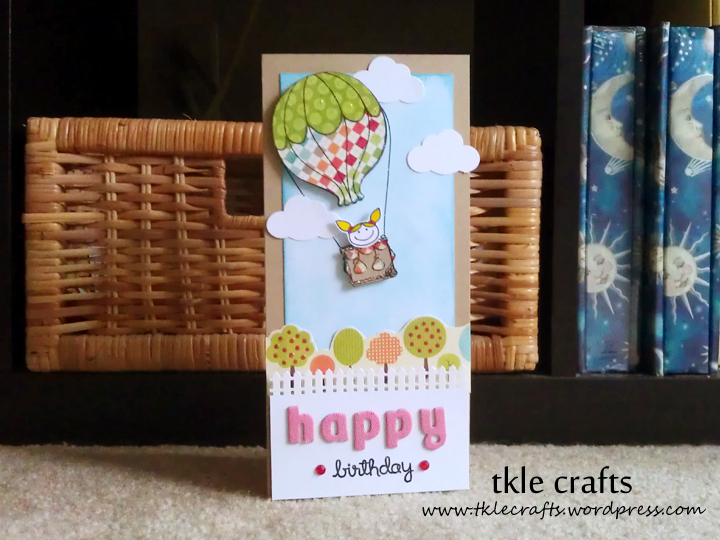 This entry was posted in Happy Birthday Cards and tagged Bling, cards, Clear stamps, Doodlebug Designs, Happy Birthday, Happy Birthday Card, Happy Birthday Cards, Martha Stewart Punches, PaperTrey Ink, Stamping, Stickles. Bookmark the permalink. ← Chickies Like to Shake Shake It! I love this card! So adorable. Love love love it!. thank you! It makes me happy when I look at it!